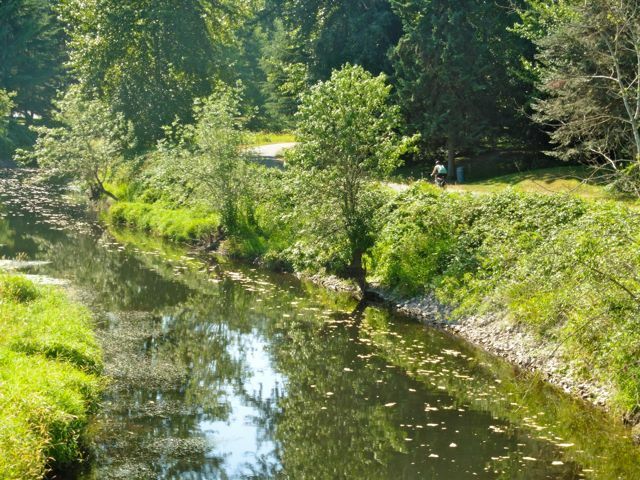 Sammamish: One of the many trails along pleasant rivers in the suburbs of Seattle. Typical section, Sammamish River Trail. 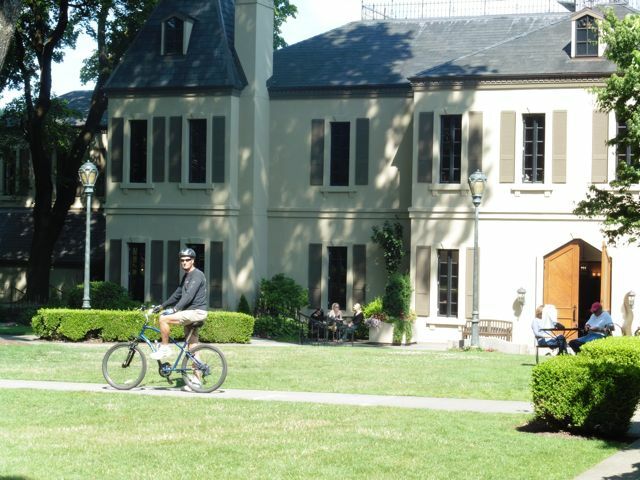 Chateau Ste Michelle Winery and amphitheater. Columbia Winery is another destination in the cluster of facilities. 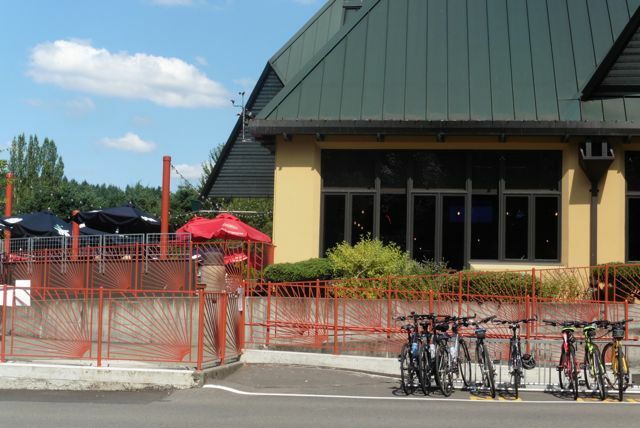 Red Hook Brewery’s patio is a great lunch stop along the trail. Gillman Trail that leads west all the way to Puget Sound, and in Redmond’s Marymoor Park it connects to a trail (currently being paved) along the east side of Lake Sammamish. 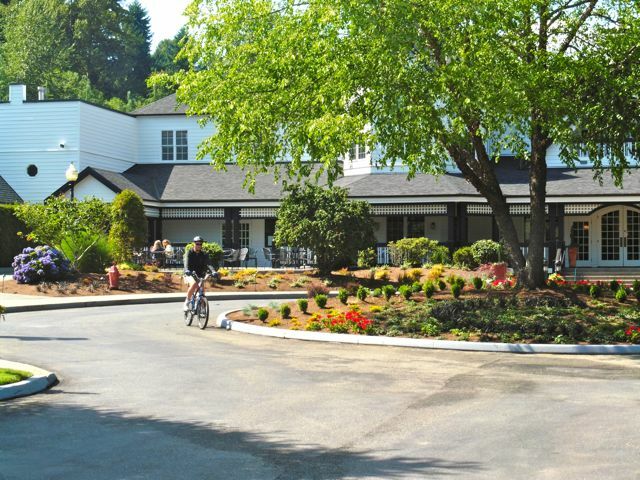 Plenty of dining options are available in Redmond and Bothell, however the highlight is at Mile 5.5 in Woodinville where the Red Hook Brewery, Columbia Winery and the magnificent Chateau Ste Michelle Winery (& amphitheater) are accessible via a short spur trail. 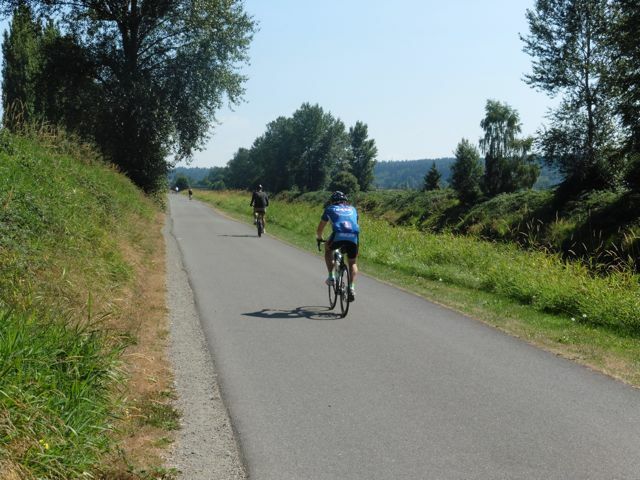 This is also a popular cycling destination from Seattle via the Burke Gillman Trail to the Sammamish.